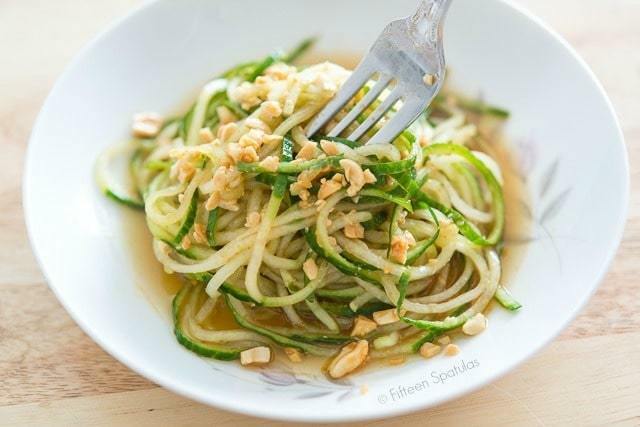 Spiralized cucumbers are tossed with a simple Asian dressing and chopped peanuts for a quick and refreshing dish. Add chicken to make it more hearty! Now that it’s the start of a new year, it feels like the internet has exploded with healthy recipes, and here I am about to add another. BUT, you guys know that I only post healthy recipes if they’re delicious, and I think this is one worth sharing. This is one of my regular favorites that I make for lunch (sometimes I add chicken). 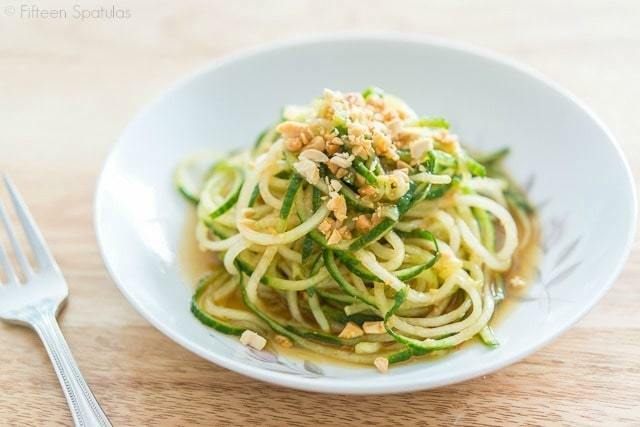 In order to make this, you’re going to need a spiralizer. This is definitely one of my favorite kitchen gadgets, and I gave one to my stepmom for Christmas. It’s just so much fun for veggie recipe creation and I use it all the time. 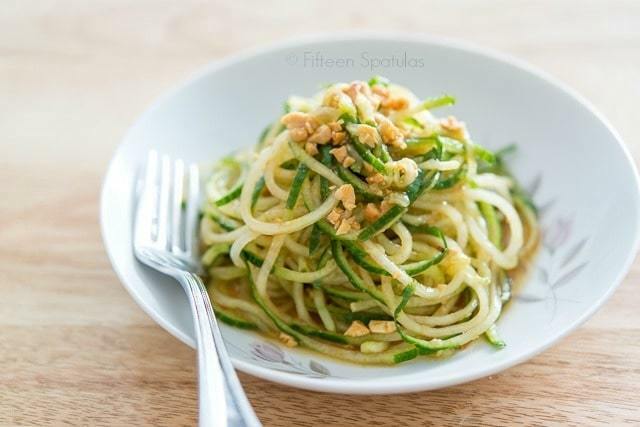 Here is the recipe, and below that are more of my favorite spiralized recipes. Enjoy! 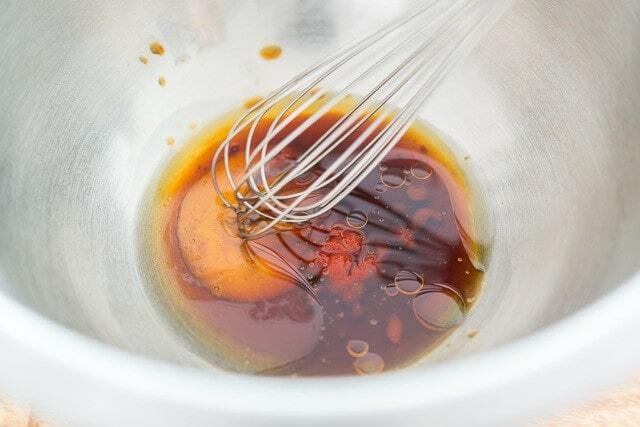 Whisk to combine the soy sauce, sesame oil, rice vinegar, sriracha, and honey. 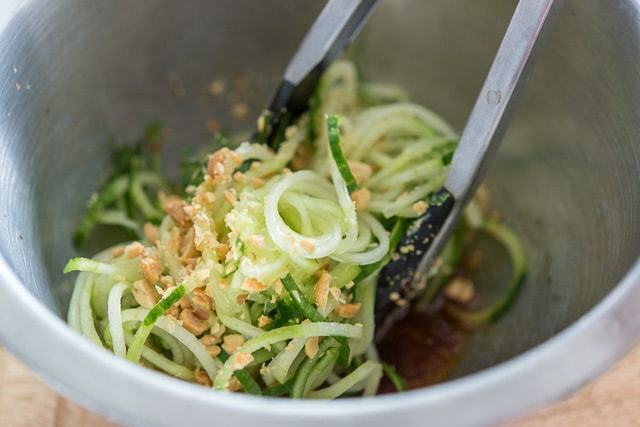 Toss this mixture with the noodles and chopped peanuts, and serve immediately. 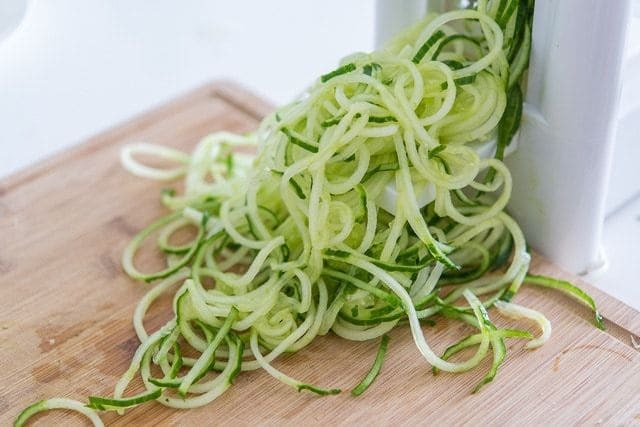 I need to buy that spiralizer because mine makes everything too thin and it ends up becoming soggy super fast. Loving how light and fresh this is, just what we all need after the sugary holiday season! This recipe is a crowd-pleaser for sure! LOVE! Oh my, this sounds amazing and I love how you use cucumber. Yum! 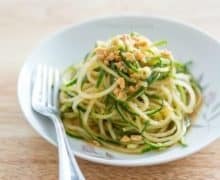 Now I know what to make with my spiralizer. I have been thinking about getting one of those but I am still not sold yet…..but you are convincing me! This had good taste and the cucumber was refreshing. I might add some peanut butter next time to thicken it up. The dressing was really watery even after squeezing the water out of the cucumber noodles. 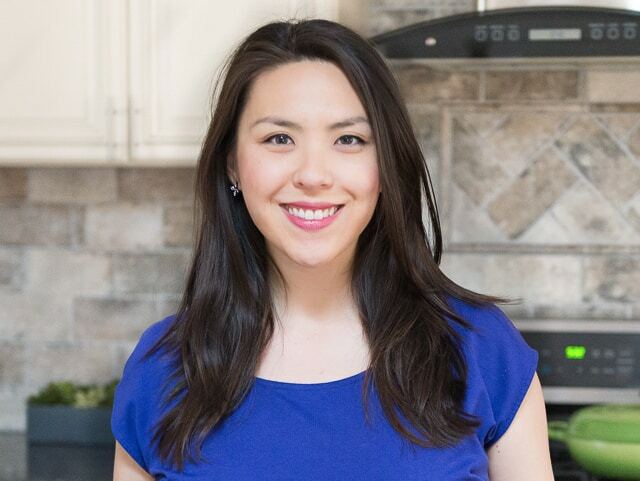 Hi Richelle, I like the idea of adding peanut butter!